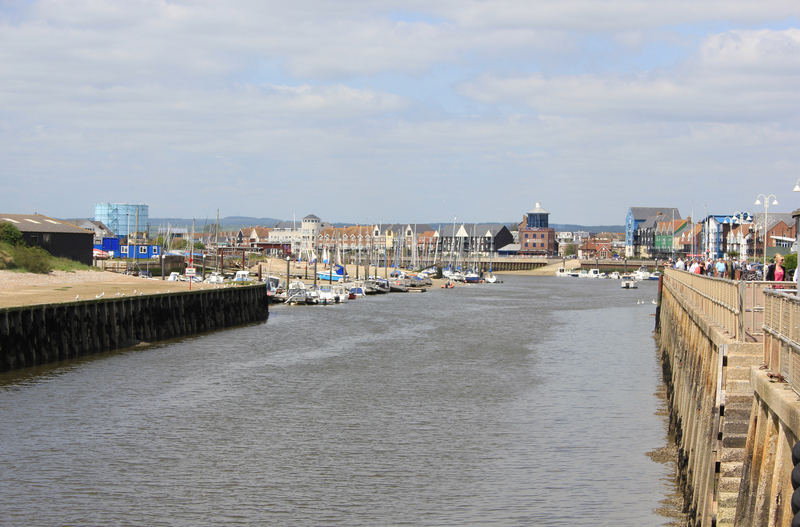 We walked across to Littlehampton’s harbour mouth. At the foot of the east harbour arm the lighthouse stared out to sea with it’s single letterbox eye. Behind us, the mouth of the river stretched back towards the town. We would have to walk alongside the harbour walls to get to a crossing point. Before we headed inland, however, we were drawn to the Harbour Park Amusements – the Lure of the Log Flume proved too much for us! My wife stationed herself safely behind the protective glass barriers, ready for the action shot. The first log flume we took the children on was at Sea World in San Diego. It is a combined log flume and coaster. At one point, the car goes into an enclosed room and stops. All the lights go out. The car is then raised up by something like three stories, all in the dark. At the top the doors open in front and the passengers suddenly find themselves at the pinnacle of an enormous roller coaster drop. My son was quite young at the time. With his eyes bulging out of his head in aghast terror, he looked over the side of the car in search of safe ground. He was too small to see over the side, and so stood up to actually lean over, not realising that the car was just starting its drop. It was at about this point that my terror equalled that of my son’s! I was sat in the car behind him; I grabbed him and pulled him down. 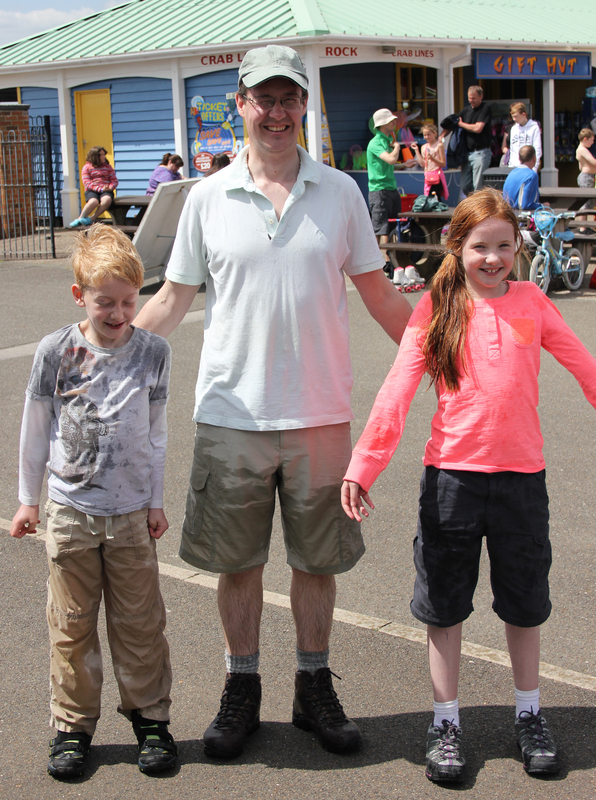 Poor old Ben – for a year or so after that he could not be persuaded to go on any log flumes! These days, both he and Catherine seem to be quite at ease, throwing their arms out and screaming more for effect than for terror. In fact, I seem to be the only one clutching the side in this photo! I comfort myself in the knowledge that at least I was in the car and not cowering behind the protective screens like the person who took this shot! 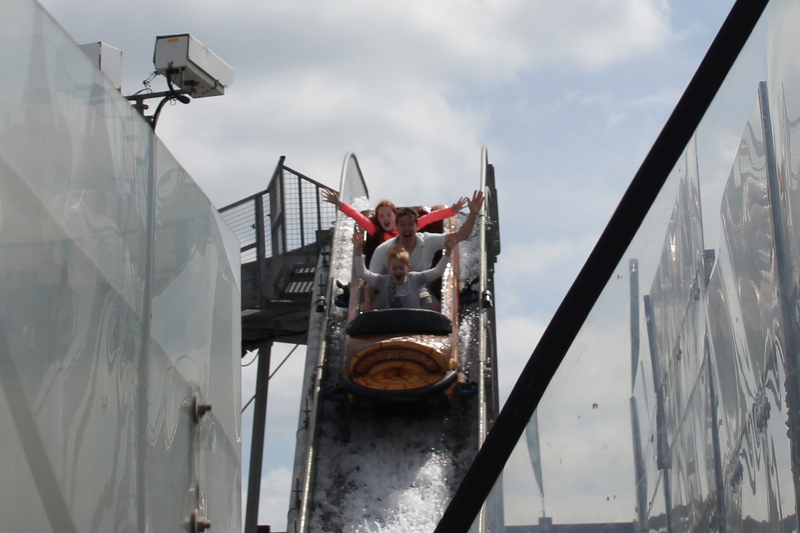 The Littehampton log flume is, I can safely say, one of the wetter ones we have experienced. 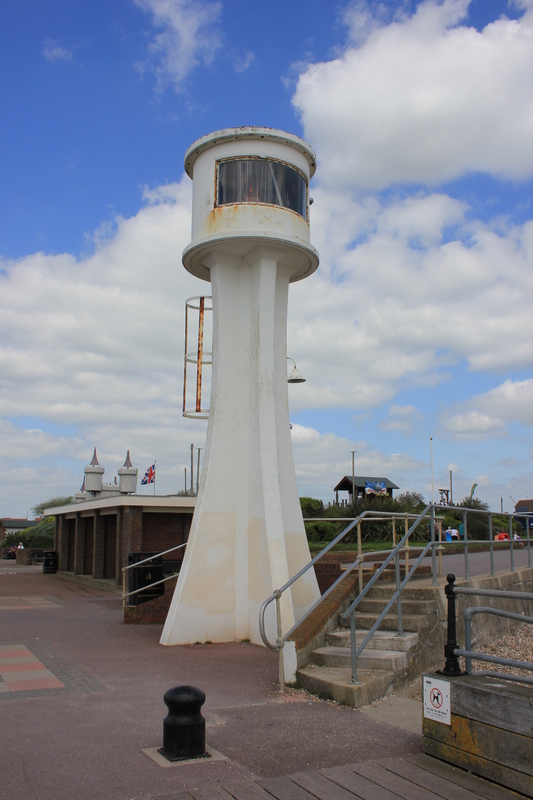 This entry was posted in West Sussex and tagged coast, lighthouse, littlehampton, log flume, travel, walking, west sussex. Bookmark the permalink.